Every day, when you ride your bike on Texas streets, roads, and trails, you make Texas a better place to live, work, and ride. When you ride, you reinforce the voices of thousands of Texans, telling our local and statewide leaders that Texans want great places to ride. That’s what we’re here for, too. 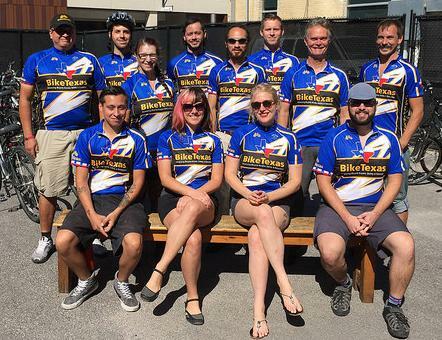 And starting now, we want to make joining BikeTexas a better choice than ever. These specials may not show up on the online form, but not to worry–we’ll get them to you! Just indicate your preferred premium and size (if applicable) in the comment box. In addition to these once-a-year premiums, we’re giving away a Yeti cooler. At our Annual Membership Meeting on September 23, we’ll draw a winner from our current monthly members and anyone who joins between now and September 21. Get great membership premiums and enter to win a great cooler for a limited time only! 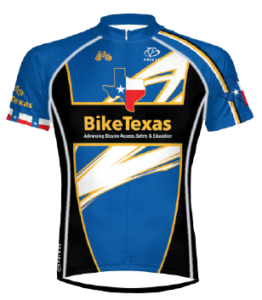 Don’t miss out–join BikeTexas or upgrade your membership today. Every September, BikeTexas members come together for the Annual Membership Meeting. We hear from board members and staff about where we are and where we’d like to be in the next year. We share successes and setbacks. Most importantly, we’d like to hear from you. We invite you to join us on Sunday, September 23, from 3:30 to 6 PM as we celebrate the work of another year together. 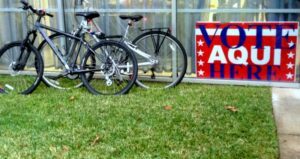 We’ll meet from 3:30 to 4:18, with a reception to follow in the BikeTexas office. Register now to attend. The Annual Membership Meeting is open to the public. Hayden Miranda got an assignment from his ALPHA teacher, Mrs. Rustan: interview a non-profit and then create a piece of art representing what he learned about the organization. The assignment theme? “Origins of Change.” Hayden’s non-profit choice? BikeTexas. Once students had completed their artwork, they were ready for the big time: Northside ISD’s non-profit showcase, a gallery-style exhibit. Hayden and his classmates shared their artwork with students and adults who came to see the hard work on display. 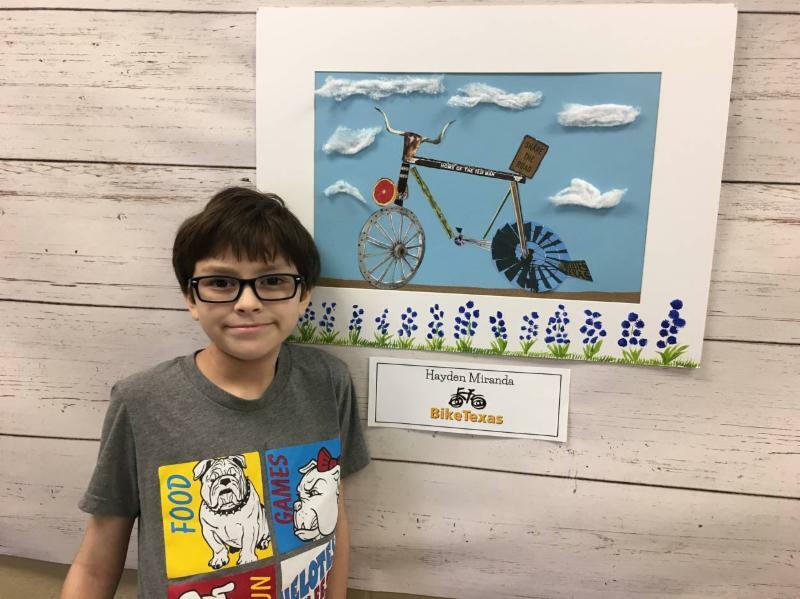 Mrs. Ruston says, “The goal for each student was to open their minds to non-profit organizations and the importance of being the voice of change.” We’re honored that Hayden chose BikeTexas and we love the beautiful art he created! I attended my very first Hotter’N Hell Hundred this year, representing BikeTexas. I was in good company: in addition to BikeTexas staff, we were joined by Robin and Zach, our wonderful volunteers from Cycle Clear Lake. Zach is an urban planner and Robin is a space radiologist for the Johnson Space Center. I have passed through Wichita Falls a few times, but this was my first time to stay there. I was blown away at how great the experience was. School is back in session, daylight hours are getting shorter, and it’s time for your school, Scout troop, or bike club to order BikePedEd materials. Teach children bike and walk safety with BikePedEd books, then attach our easy-to-install lights to bikes, backpacks, or shoes to go put that new knowledge into practice. Order your materials now in time for International Walk to School Day on October 10! We can customize your order to fit your budget and needs. Check out our BikePedEd materials, request a sample packet, or place your order today. Call 512-476-7433 with questions. And if you haven’t had a chance yet, please take a minute to offer your feedback on what was great at TTAT and what could go better next time. 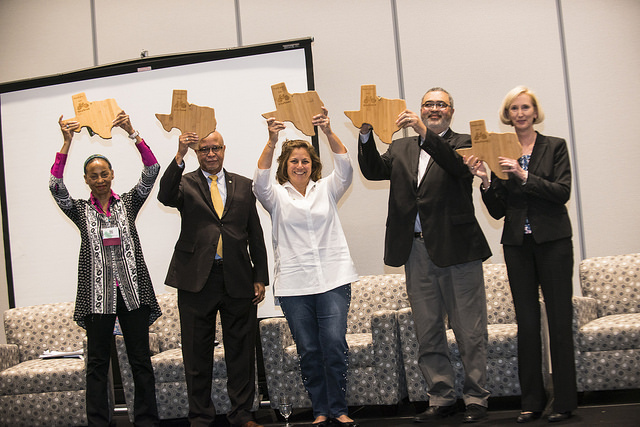 For 27 years, many folks have worked hard to make Texas a great place to walk or bike. 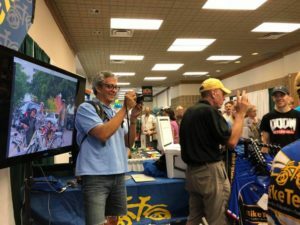 The BikeTexas Advisory Board, our sponsors, and every BikeTexas member make it possible to educate more legislators, work with more city officials, and provide more materials to teachers around the state, to keep bicycle advocacy in Texas alive and well. Thank you for being some of the best folks on the planet! Looking for a bike shop or other business near you that supports bicycle advocacy in Texas? 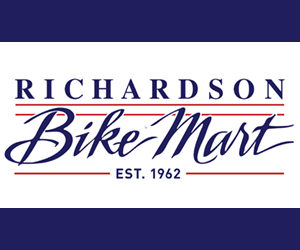 Check out the complete list of bike shop and business members here. Roll along with your best bicycling buddies and make Texas a great place to bike at the same time! Looking for a great club or advocacy org near you? Look no further.